Supershot keeps impressing! As a genomic young sire Supershot was already extremely popular, as a sire of sons he was very successful and with adding milking daughters to his proof he confirms! 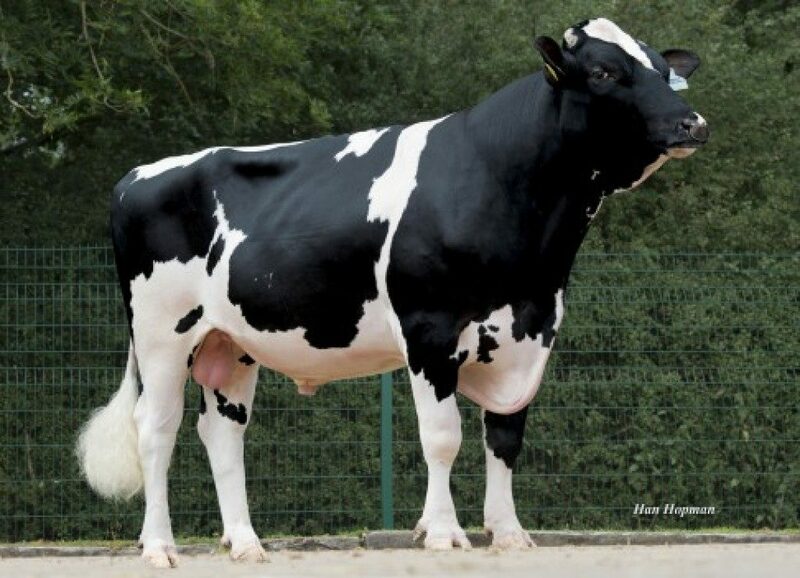 During the recent December proof run Supershot took the #1 spot at the Dutch NVI base as a proven sire. With no less than 311 NVI he confirms the high expectations breeders had from him as a young sire. His daughters are productive, have a favorable fat-/protein ratio, healthy udders and a very balanced type. Supershot has positive scores for all linear traits! But not only in the Netherlands the breeders are raving about their Supershot daughters, also in the USA, Canada, UK and Germany he is showing very favorable progeny proven proofs! Supershot was bred by De Volmer Holsteins and Diamond Genetics. Nadja dominates the January 2019 intermediate-run!